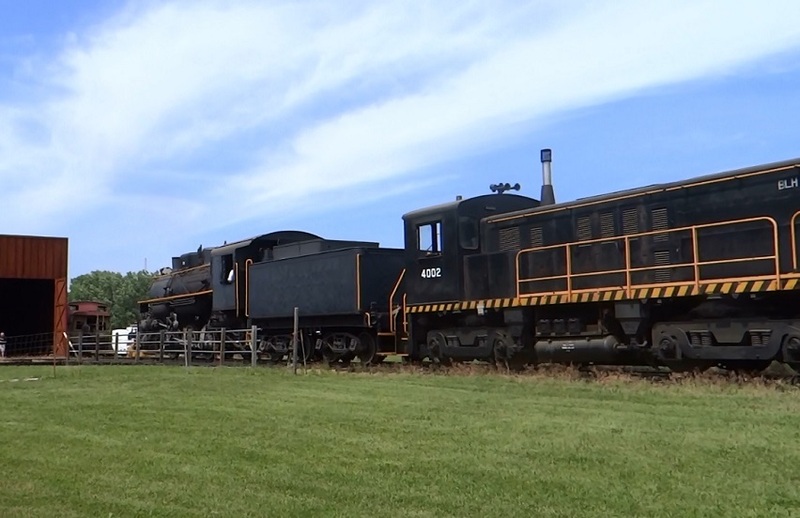 Above 4002 is shown providing air to #29 for train braking during #29’s first test run in 12 years, video here. 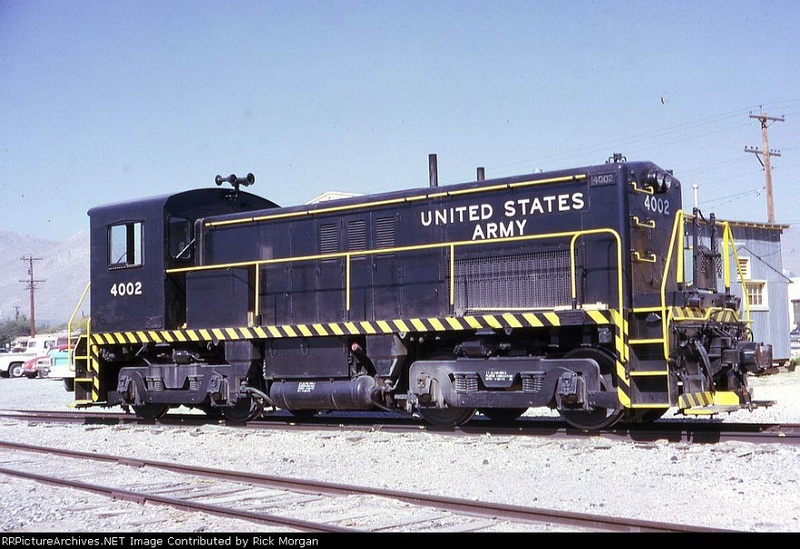 4002 is an RS4TC, 74 of which were built at Baldwin-Eddystone for the US Army in 1953 to a modified Davenport design and with a Whitcomb builder’s number, Whitcomb having been acquired Baldwin. Built with a 400HP Cat D397 engine, at least 40 were rebuilt in the 1980s with 500HP Cat 3508 engines, 4002 is one of the upgraded locomotives. The paired stacks forward being replaced by a single one aft and the radiator screens being plated over at the time of upgrade. 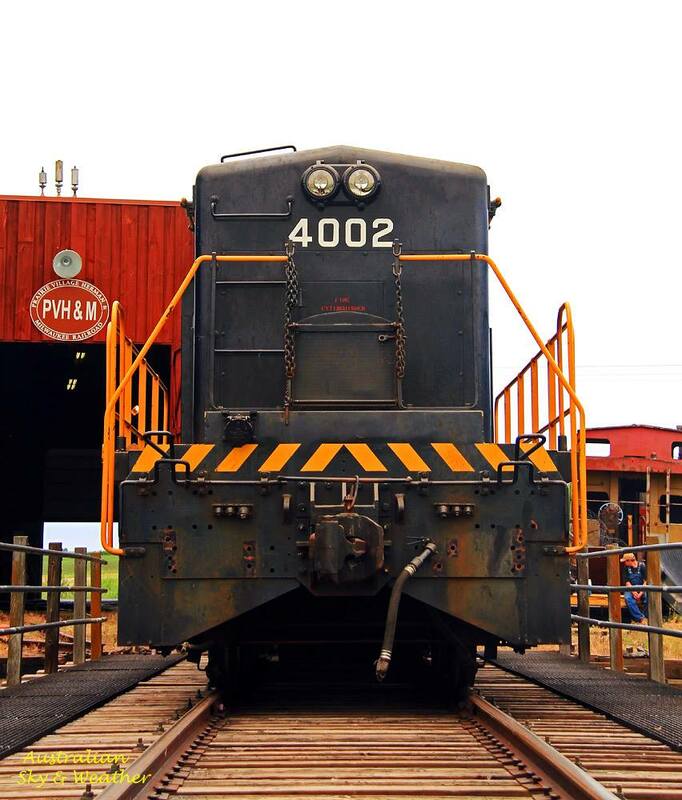 This archive picture of 4002 from 1973 at Fort Biss, TX shows the twin forward stacks prior to the re-engine.